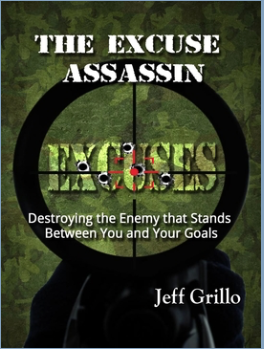 Jeff Grillo has overcome blindness, cancer, heart problems, financial collapse, divorce and more. The lessons he has learned will help you overcome your own challenges and obstacles in your life. Prepare to be launched on your personal development journey. Failure is not an option, and you will be inspired and equipped to become the successful person you were born to be! As a speaker, Jeff will travel to deliver the best in inspiration and motivation. As a life coach in the Charlotte North Carolina area there are virtually no boundaries to his mentorship through phone and video connections. You’ll Want to Pay Attention to this Dynamic Leader! 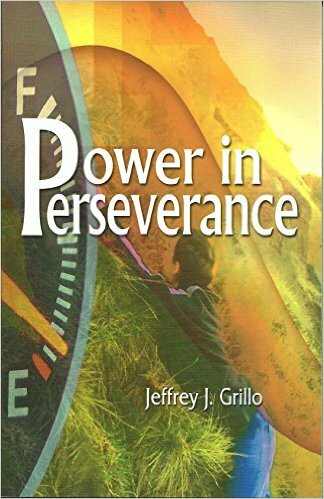 Dive deep inside this website and you will find out that Jeff Grillo has not only faced and overcome some of the most daunting challenges, but he has established himself across the media spectrum. To date, he has published two powerful books, “Power in Perseverance” and “The Excuse Assassin”, which are available on this site as well as Amazon.com. He has been interviewed on radio and TV stations such as Dove Broadcasting, the TCT Network, Christian Television Network to name a few. Interviews with him have also appeared in Pentecostal Evangel Magazine and various blogs and podcasts, as well. While here at this site, be sure to take advantage of the great resources available such as his Success Blog, Video Vault and sign up for the FREE monthly inspirational newsletter. Don’t hesitate to subscribe to his YouTube channel “throttleupradio” so you can get each educational and motivational video as they post. Jeff is a powerful and moving speaker that will absolutely deliver at your next event. Whether a corporate event, a non-profit organization conference, school commencement or church service he is ready to deliver and meet and exceed your expectations! Visit the “About Jeff” and “Meeting Planners” pages for more exciting information. Reach out to him through his “Contact Form” and let him know the date of your event and every effort will be made to accommodate you.